I love movies, food, travelling, music and spending time in nature with my camera by my side. Obsession with Photography comes alive as I cover Nature, People, Events and more, all at one place! Ganesh Chaturthi celebrations are one of the most vitally joyous occasions in Mumbai. 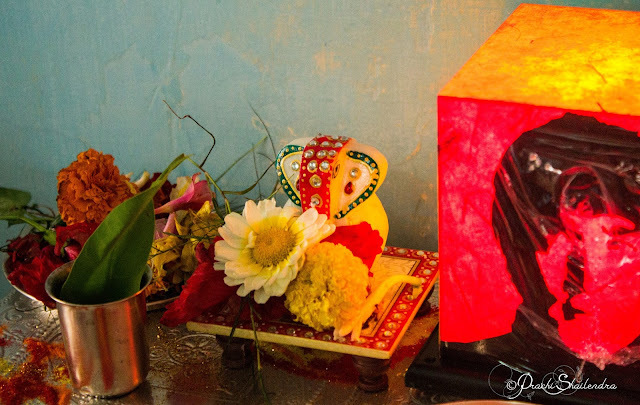 I am starting off my photography journey in the blogosphere with a collection of my snaps taken last week through the Ganpati 2015 celebrations in Mumbai :) This,incidentally is the first time when we had a cute Ganpati at our own home too-yes,the one chilling with The Beatles lamp :D Dadar, Malad, Santacruz and Thane are just some of the areas I traversed with my favorite Rockstar Gannu and his devotees.